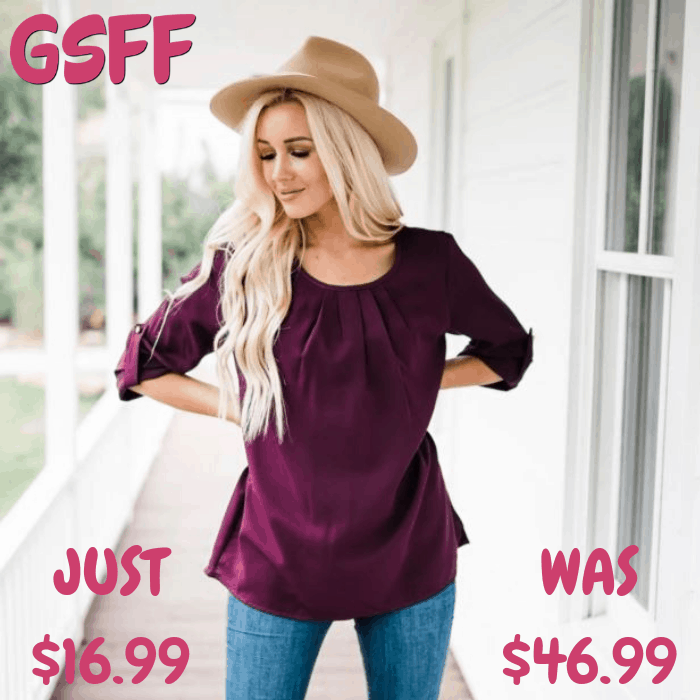 Pleated Blouse Just $16.99! Down From $47! Shipped! You are here: Home / Great Deals / Pleated Blouse Just $16.99! Down From $47! Shipped! This deal expires on February 4! At Jane, you can score this Pleated Blouse for just $16.99 down from $46.99 PLUS FREE shipping! These basic blouses are the perfect top for literally every day, business, home, or to go out! These blouses are loaded with personality. The pleats in the front make it roomier in the bust area. We love that this top is longer in the back making it very flattering on . Also, can we mention the pearl button detailing on the sleeve and back closure? Wear this adorable sleeve pinned up for warmer days, or down for cooler days.